On June 11, 1996, Crime Stoppers of Volusia & Flagler Counties was formed by members of the Daytona Beach Rotary Club following the murder of one of their members in his own home during a robbery. Shocked and dismayed, citizens united to form Crime Stoppers as a local organization dedicated to taking criminals off the street, thus making our community a safer place for all of its law abiding citizens. 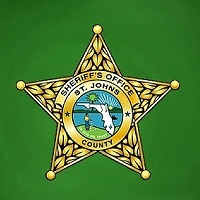 The local Crime Stoppers expanded to include the whole 7th Judicial Circuit, which includes Volusia, Flagler, Putnam and St. Johns Counties, in late 2004 and was renamed to Crime Stoppers of Northeast Florida. Crime Stoppers of Northeast Florida, Inc. is a unique community program, operated and administrated by citizens through a Board of Directors. It is a not-for-profit 501(c)(3) volunteer civilian organization, supported solely on contributions from private citizens, social and civic groups, and local businesses. Over 1,000 programs have been instituted worldwide.